Laos has just gone deeper into debt with a U.S. $5 billion loan to build a Thailand-Vietnam rail link. A U.S. $5 billion dollar loan for construction of a rail link across southern Laos between Thailand and Vietnam has reportedly been approved. The loan is worth more than half of Laos’ total Gross Domestic Product. New Zealand group Rich Banco Berhad has apparently approved the loan to Malaysian-based Giant Consolidated, which will build the 220-kilometer track linking the two borders. However, details surrounding the deal, the bank and its relationship with the Malaysian group are sketchy at best. The project, along with other massive infrastructure projects planned by Vientiane, has raised eyebrows among economists who doubt the country’s ability to repay its potentially enormous debts. According to the World Bank, Laos GDP was just U.S. $8.3 billion in 2011. Laos has sole ownership of the project and will be responsible to repay the debt after a Chinese group withdrew amid concerns over its profitability. However, Chinese companies remain active elsewhere in the country and are prominent on big ticket infrastructure projects, including the U.S. $7.2 billion high-speed train running north to south and linking the Chinese border with Vientiane. The Asian Development Bank has described that project as “unaffordable.” Yet, the EXIM Bank of China intends to fund the project, which the Lao transport minister says is almost ready to go ahead once the final details are thrashed out. Other projects on the books include dams, roads and airports. Many of the projects have proven controversial, particularly the Xayaburi Dam. The contentious project will be the first dam built on the mainstream of the lower Mekong River, home to more than 60 million people who depend on the river for their livelihoods. Vientiane has launched an extensive public relations campaign to try and convince sceptics of the dam’s value for the Mekong, its inhabitants and neighboring countries. The publicity push has been contradicted by independent reports that detail the potential damage to ecosystems and fish catches, which prompted calls for a moratorium by Vietnam, Cambodia and Western countries that fund the Mekong River Commission. 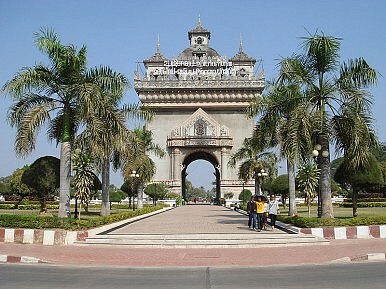 Vientiane publicly agreed but secretly carried on construction. Any criticism of these projects from the outside is met with indignation by officials who accuse the Western media of lying, while Laotians who question the merits of such massive developments are often ridiculed as unpatriotic. In recent days, the Lao government has also faced intense international pressure over the disappearance of Sombath Somphone, a U.S.-educated Laotian activist prominent in community development. His plight was raised by United States Secretary of State John Kerry last month when he urged Laotian authorities to step up their investigation into his disappearance without delay. Amid these ongoing controversies, Laos is taking on the added burden of constructing the east-west rail link, which is expected to take four years. Only time will tell if the government is up to the task. The cost-cutting and lack of oversight that led to the dam's collapse plague other hydropower projects across the country.